Prizeo.com, the charity-fundraising digital platform, has announced their official U.S. launch with a roster of major celebrities who will run charity campaigns on the site this summer, including Muhammad Ali, Alicia Keys, Michael Phelps, Kristen Bell and Khloe Kardashian — along with an Oscar-winning actress and one of the world’s most popular music groups to be announced at a later date. 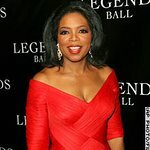 Prizeo’s unique micro-donation model lets fans buy chances to win once-in-a-lifetime experiences with their favorite celebrities whose charities benefit from the online campaigns that run live on Prizeo.com. Fans who give at certain, specified donation levels are also eligible for exclusive rewards ranging from autographed items to exclusive campaign t-shirts. Prizeo democratizes fundraising by transforming the traditional celebrity-auction model — once limited to a select group of privileged bidders — into an instantly accessible digital campaign that’s open to anyone who pays the entry fee: a mere $3 donation. The platform also enables stars to maximize the benefits their social-media influence can deliver on behalf of charities. A Y Combinator-backed startup, Prizeo is the preferred digital platform for William Morris Endeavor client charitable initiatives, in addition to collaborating with Lady Gaga’s management agency, Atom Factory. In late 2012, Prizeo launched as a beta site with a series of successful local campaigns before commencing international ones with Jamie Oliver, who raised $184,000 on behalf of his food-education foundations, and Samuel L. Jackson, whose much-publicized Reddit contest drove record traffic to Prizeo.com where donations to Jackson’s chosen charity, Alzheimer's Association, surpassed $160,000. “I’m in this to make a real difference,” Jackson says. "The work of the Alzheimer’s Association is so important to me. I’m using Prizeo for my fundraising because it’s a platform where I could use the power of social media to reach many more people than by any other means. And Prizeo’s micro-donation model makes it possible for almost anyone to participate. " •	Alicia Key’s campaign will benefit Keep A Child Alive, which provides treatment, support, nutrition and love to children and families affected by HIV in Africa and India. The campaign will run from June 5 to July 15, 2013 with a grand prize of a trip for two to Rio de Janeiro, Brazil. Donor gifts include an exclusive campaign t-shirt ($40 or more), an autographed photo of Keys ($100); an autographed Keys songbook ($200), and even a handwritten card from Alicia herself. Plus, the campaign’s top “sharer” — i.e., the person who get the most friends to donate by sharing a personal link via Facebook and Twitter — will receive the new Blackberry 10 phone, while three runners-up will each get an autographed pair of sneakers from Keys’ Reebok line. 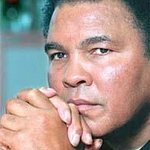 •	Muhammad Ali’s campaign will benefit the Muhammad Ali Center, a multicultural center with an award-winning museum that has a mission of preserving and sharing the legacy and ideals of Ali, promoting respect, hope and understanding, and inspiring adults and children everywhere to be as great as they can be. •	Michael Phelps’s campaign will benefit the Michael Phelps Foundation, which is focused on growing the sport of swimming and promoting healthy and active lives, especially for children. •	Kristen Bell’s campaign will benefit Invisible Children, which seeks to bring a permanent end to atrocities in East and central Africa relating to the Lord’s Resistance Army (LRA). •	Khloe Kardashian’s campaign will benefit the World Wildlife Fund (WWF), whose mission is to conserve nature and reduce the most pressing threats to the diversity of life on earth. Grand-prize winners are chosen at random and notified within days of a campaign’s closing. For full contest rules, click here.